February 16 2019, 12:31 p.m.
Any rollback of protections for Indigenous lands would pose a dire threat to the Amazon rainforest, which is being rapidly cut down by ranchers, farmers, and extractive industries. Bolsonaro’s attitudes toward Brazil’s Indigenous people and their lands are similar to those of the military dictatorship that ruled the country from 1964 to 1985, during which time thousands of tribespeople were killed and thousands more were driven from their lands to make way for large infrastructure projects and farms. In last year’s election, Bolsonaro campaigned hard on cuts to government funding for Indigenous services and freezing the expansion of federally protected reserves. He immediately moved to make good on these promises after his inauguration last month. Meanwhile, armed bands of land grabbers, known as “grileiros,” have been staging attacks on Indigenous communities — a pattern of violence that has surged in the wake of Bolsonaro’s election, according to Indigenous leaders and allies interviewed for this article. “With Bolsonaro, the invaders are feeling more at ease,” Bitete Uru-Eu-Wau-Wau, who lives on an Indigenous reserve, told The Intercept by telephone. He referred to the invaders as “peons” sent by powerful bosses to cut down trees, burn undergrowth, and plant grass for cattle grazing — the first stage in the vastly profitable criminal enterprise of land-grabbing in the Amazon. From there, the lands are often sold several times over on the black market, meaning that poor states lose out on much-needed tax revenue. Prosecutors have raised the alarm over four territories that have experienced, or are in grave danger of, invasion or attack, while advocacy groups say the number is at least six territories and fear that darker days are still to come. An investigation published this week by the NGO Repórter Brasil found that at least 14 fully protected Indigenous territories are currently under attack. Indigenous Brazilians on the Uru-Eu-Wau-Wau territory following an invasion by suspected land grabbers in January. Uru-Eu-Wau-Wau leaders and local advocacy groups shared the solemn photograph with an accompanying audio message explaining that the gunshots were fresh, the latest attack in an ongoing “invasion” by groups of grileiros. The tribe fears that a violent conflict with gun-toting outsiders is imminent. Recently, armed with bows and arrows, they managed to expel a group of grileiros from the reserve and filmed the confrontation. The trespassers promised to return. “They want to take the land, divide it up into lots, and raise cattle,” Bitete Uru-Eu-Wau-Wau said. “They are getting very close.” The Uru-Eu-Wau-Wau are not alone. On his first day as president, Bolsonaro transferred the authority to protect Indigenous lands from Brazil’s National Indian Foundation, or FUNAI, a government entity tasked with the protection of Indigenous communities, to the Ministry of Agriculture, handing a victory to the powerful agribusiness sector that backed his campaign and has its eyes on large tracts of pristine forest. Sydney Possuelo, a veteran Indigenous observer and former FUNAI president, described the move as “the death” of FUNAI, in an interview with the Folha de São Paulo newspaper. Brazil’s Ministry of Agriculture, now headed by Tereza Cristina Dias, a former member Congress from the powerful “ruralista” agricultural caucus, did not respond to The Intercept’s questions about whether the demarcation of Indigenous lands would continue. 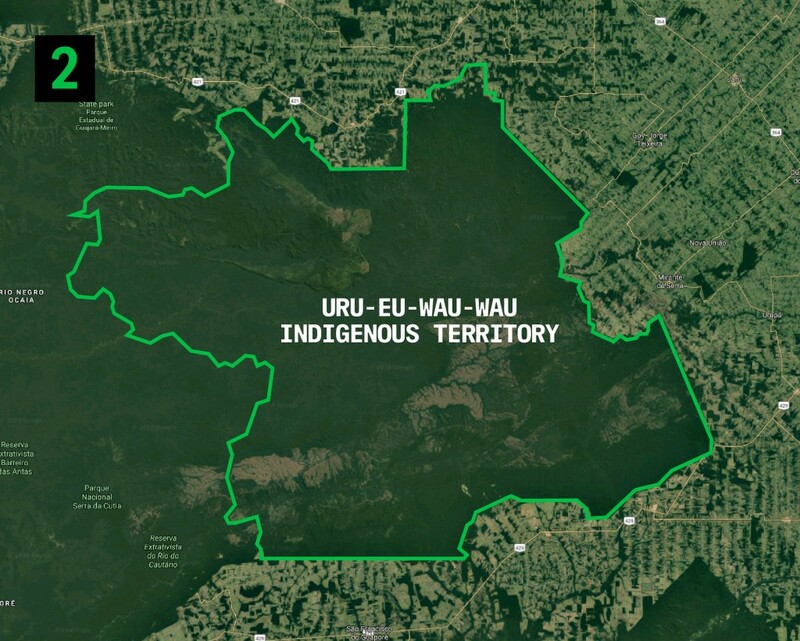 The Chamber of Indigenous Peoples and Traditional Communities of Brazil’s Public Prosecutors Office has sent an urgent memo to the justice minister warning that the Uru-Eu-Wau-Wau and three other communities were in danger. The Indigenous Missionary Council, or CIMI, a Catholic aid group, recorded attacks and threats in five states. “What we are seeing is a new phase of illegal occupations of Indigenous lands,” said Cleber Buzatto, CIMI’s executive secretary. A January analysis by the Indigenous Missionary Council found that, in the first weeks of 2019, eight Indigenous communities in five Brazilian states have either been attacked or experienced serious threats of invasion by grileiros. 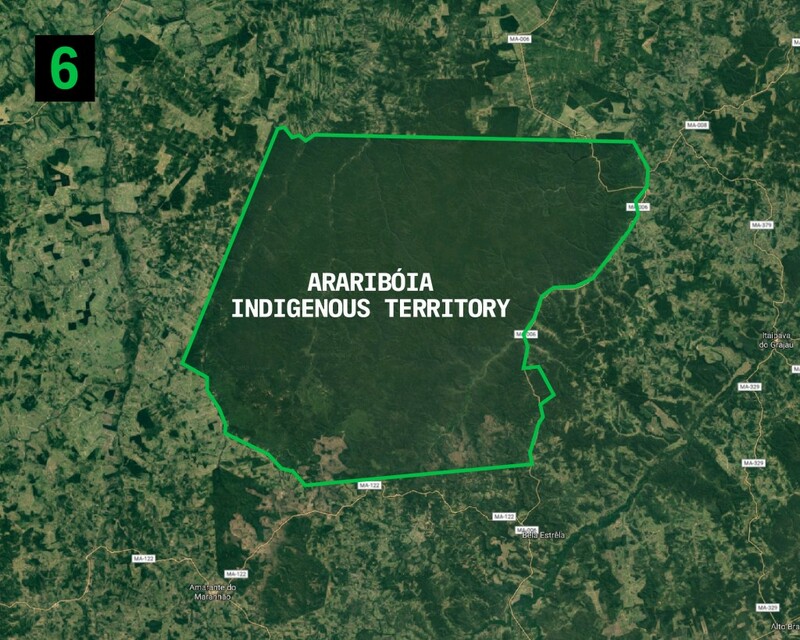 According to Daniel Azevedo Lôbo, a public prosecutor in Rondônia, the region surrounding the Uru-Eu-Wau-Wau territory is rife with criminal groups constantly looking to illegally exploit Indigenous territories or forest conservation units. In January, he said that dozens of suspected grileiros were planning a major invasion, and another had already taken place this year. Federal Police arrested one suspect, while the rest fled into the forest. The 7,200-square mile Uru-Eu-Wau-Wau reserve is larger than the U.S. states of Connecticut and Rhode Island combined. Around 200 tribespeople of different Indigenous subgroups live in villages on the margins, and an unknown number of “isolated” Indigenous people who do not have direct contact with the outside world reside deeper within the borders. Using satellite imagery, Brazil’s Social Environmental Institute concluded that only 2 percent of the reserve is deforested, as compared to 70 percent in the surrounding area. Rondônia is one of the Brazilian Amazon’s most deforested states, and much of the remaining jungle is in Indigenous lands and federal conservation units, making them popular targets for criminal gangs. By no coincidence, the state recorded 17 murders related to land conflicts in 2017, one of the worst rates in the nation. Last year, Bolsonaro won in Rondônia by a wide margin and a retired military police officer from Bolsonaro’s Social Liberal Party was elected governor. The Karipuna Indigenous territory, also in Rondônia, is similarly under assault from land grabbers. Greenpeace’s investigative journalism unit, Unearthed, reported from the territory in 2017 after prosecutors said the tribe — with less than 60 members living on the site — was at risk of “genocide.” “They are close to the village now,” Adriano Karipuna told The Intercept recently. He visited the U.N. headquarters in New York last year to denounce a possible “massacre” against his people. Federal Police have since seized tractors and other heavy machinery from the nearby community of União Bandeirantes and are investigating three suspects in connection with illegal logging. The Public Ministry, with the support of the Federal Police and FUNAI, is expected to request National Guard troops to defend the reserve. FUNAI’s new president, Franklimberg de Freitas — an army reserve general who is currently the target of a government ethics enquiry for conflict of interest regarding his former consultancy gig for the Canadian mining firm Belo Sun — also visited Rondônia late last month following the recent invasions. Twelve hundred miles south, in Rio Grande do Sul state, local prosecutors have opened an investigation into a reported incident in which two hooded men made threats and opened fire at a small Mbyá-Guarani encampment in the capital, Porto Alegre. Members of the Karipuna Indigenous tribe in 2017. Grileiros have illegally invaded federally protected Karipuna territory in 2019 in the hope of taking over and exploiting the land for commercial purposes. About 0.4 percent of Brazil’s population lives on federally protected Indigenous lands, which cover around 13 percent of national territory and contain some of the nation’s best-maintained forests. Climate scientists consider empowerment of Indigenous people and their lands as an important weapon in the fight against climate change. But regardless of who is running the nation, throughout recent history, those concerns have been sublimated to the short-term economic interests of major industries. Before Bolsonaro, the situation was already increasingly dire for Brazil’s Indigenous communities as the agribusiness lobby has grown more powerful in state capitals and in the corridors of power in Brasília. In 2017, under President Michel Temer, FUNAI’s budget was cut by nearly half, and a law was passed that effectively gave amnesty to land grabbers who had continuously occupied lands since before 2011. A similar measure had already been passed in 2004. Invasions of Indigenous lands jumped from 59 in 2016 to 96 in 2017, according to CIMI’s annual report “Violence Against Indigenous People in Brazil.” The study highlighted that “one can see a significant increase in invasions; theft of natural resources such as timber and minerals; illegal hunting and fishing; soil and water contamination by pesticides; and fires, among other criminal actions.” It was also one of Brazil’s bloodiest years on record for land dispute-related violence, with at least 70 killings, according to rural violence watchdog Comissão Pastoral da Terra. Before Temer, President Dilma Rousseff’s administration recognized very few Indigenous lands, experts say, to appease allies in Congress who represented major agricultural interests. During her mandate, she also inaugurated the controversial Belo Monte Hydroelectric Dam. Before construction began in 2011, environmentalists warned — correctly — that it would cause enormous damage and subsequent deforestation in the region. But under Bolsonaro, Indigenous leaders in the region believe that the actions of unscrupulous loggers and land grabbers will only get worse.